Pressurized ISS was built in Italy, was it not? Cygnus uses the same manufacturer. Also, ISS was designed in the 80s, 30 years ago. The senior engineers involved with that are certainly mostly retired by now. Um, no. So much wrong here (uncharacteristic of you, Chris). The pressurized element for the U.S. Lab was built at MSFC in good, old Huntsville, Alabama, as was the first node. The rest of Node modules, the Cupola and PLMs were all designed and test articles fabricated similarly at MSFC, but various production responsibilities were traded away to Italy as part of the morphing process into ISS. Alenia most certainly did NOT start from a clean slate; they used the completed plans, production test results and lessons learned from building the STA's to fabricate the flight units. The international Nodes are indeed stretched to hold more equipment than the original SSF version, but again, it's just a variation, not a clean-sheet design. And SSF was conceptualized in the mid-80's, went through Phase A and B studies in the late 80's, and entered the preliminary design phase in late '89. It passed PDR around '92 as I recall, and was heading toward CDR just fine until budget pressures from a grumpy Congress (sound familiar?) pushed NASA into ANOTHER re-scoping that resulted - eventually - in today's ISS. First element launch was, as you well know, was in 1998. So sure, senior managers may very well have retired but I know for a fact there are people who've been on the program from at least the PDR/CDR phases who are still working sustaining engineering and operations, and plenty more scattered around the company in other roles and working other programs. I know Thales Alenia did not start from a clean slate, but I tend to put fabrication on a higher pedestal than others, so I guess my bias is showing. Orbital infrastructure and space transport. Thales Alenia Space has supplied fully half of the pressurized volume of the International Space Station, including Nodes 2 and 3, the Multipurpose Pressurized Logistics Modules (MPLM), the Cupola and the structure for the Columbus laboratory, as well as the Integrated Cargo Carriers (ICC) for the ATV spacecraft that ferry supplies to the Space Station. Thales Alenia Space also makes the Pressurized Cargo Modules (PCM) for the Cygnus resupply vessel, in partnership with Orbital Sciences, and is gearing up for future programs as prime contractor for ESA’s IXV and Expert reentry demonstrators. ...after decades of unending analysis, design reviews, conceptual reviews, etc, I'm tired of paper milestones. I prefer metal being bent (or carbon fiber being laid up, if you will). Ah, again you missed some of the history ... the Node STA was built before the Unity node was flown. The Lab was built, again after STAs and manufacturing qual pieces were built, tested and learned from (lessons that were passed along to Alenia). Racks were built. Structural test articles for the Cupola design were built. All the ECLSS systems installed in the Lab and then in Node 3 were designed and built. All the CBMs were designed, built and tested. 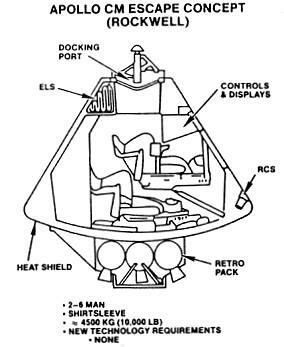 All those standoff and endcone structural pieces were built (arguably and quite honestly among the most complicated and important of all the structural aspects of the pressurized module designs). The MPLMs were designed by Boeing, based on the Node and Lab/Hab designs. All of that detailed development data was passed along for Alenia to build from - data that would've required billions of dollars/Euros and half a dozen years to recreate, data and knowledge that was created and acquired by Boeing in the first place, at U.S. government expense. They took known-good designs and built them (in the case of the MPLMs) or stretched them (in the case of the nodes). Again, Boeing did the hardest parts during the SSF program. Alenia tweaked the designs as necessary and validated them - that's not insignificant, but much akin to the Chinese building Shenzhou from Soyuz rather than designing from scratch. Boeing's CEV competitor based on OSP designs (as Jim said) was competing with Orion. The CST-100 we have now is nothing like what was proposed at the time other than a capsule design. The requirements are completely different. Sure you could have used a dart board to pick a mega-corp aerospace company to build a safe crew vehicle back in 2008, but the costs would have been really high (just look at the $8B the Orion will end up costing us). More importantly it includes two separate entities developing that capability. That more than doubles cost, when those two entities offer different prices. There is no way that competition drives the cost down enough to make it worthwile to have two. * The reason is having another if one stands down. You don't get that capability for free. * Except when the one is Boeing. In that case you can expect cost to balloon even from the already highest bid as soon as they are the only provider. I know it is a completely unbased assumption. Except when the one is Boeing. In that case you can expect cost to balloon even from the already highest bid as soon as they are the only provider. I know it is a completely unbased assumption. ya, let's not go there. Remember, its a 'Firm, Fixed Price Contract' not the old "Cost Plus Award Fee" type of contract. Cost to the government is not supposed to increase under this mechanism. And Boeing and the other defense contractors are masters at looking for scope creep and forcing change orders that are paid for on top of firm fixed cost projects. Anything the govt asks for that is beyond the strict bounds of the contract language can become a point for expanding costs. And what's that matter with that. The onus is on the gov't to have well defined requirements. I think commercial crew has a lot less likelihood of scope creep than a military project. It's the nature of military projects that there is an enemy and the enemy is not predictable, the enemy is always evolving new tactics, and the enemy is always fielding new technology. Commercial crew doesn't have a human adversary, so requirements can be fixed and, if reasonably defined, left unchanged. First, there are two competitors plus a third that's protesting. It is very difficult to introduce changes in the contract. What you refer to is common when NASA is guiding the development. But in this case the specifications are very high level, with minimum power of NASA to decide on the specifics of the implementation. So specification creep is very difficult to do. There are clauses for special services, but that's also why they have two suppliers. Do you believe Boeing will want to compete with SpaceX on price? They better stick to their contract that's very interesting as it is. Right, everybody is a crook. Weeellllll... not a 'crook'. That implies self-awareness of openly dishonest intent. You ask most people who do things like this and they'll insist that it is 100% legal and honest (if possibly dubiously ethical) and all they're doing is getting the maximum legal amount out of a contract. "Milking it for all that it is worth but not a cent more" is one way I've heard it described. Which in a Fixed Firm Price contract is...? It's the nature of military projects that there is an enemy and the enemy is not predictable, the enemy is always evolving new tactics, and the enemy is always fielding new technology. The B-52 is an example of that need to endlessly modify a platform in response to enemy capabilities, however just as often the military has extras in the back of its mind that it wants to pile on soon after a downselect. The Advanced Tactical Fighter Program was supposed to choose a purely air superiority fighter. As soon as LM was chosen over Boeing, USAF immediately decided to add attack capability, even though the Joint Strike Fighter Program was in the pipeline, making the F-22 into an F/A-22 completely unnecessary. Likewise, in that program, as soon as LM again defeated Boeing, USAF, USN, and USMC all piled extra qualifications onto their respective F-35 variants. Granted, there were all kinds of other cost increase drivers, but there have been numerous Christmas Wish List additions that have been immediately piled on after a downselect that were in no way driven by enemy adaptations. I cannot see NASA doing this with the CC program, unless they decide to evolve a CC vehicle for beyond LEO one day. Those milestones had payments and dates attached to them--and those dates are a significant metric as a gauge or not only what will be delivered, but when it will be delivered. Or are you suggesting that when evaluating performance to plan, dates "mean nothing"? So as long as we have a milestone based program, it doesn't matter when the vendor delivers? And, according to Boeing, the heat shield drops off at 5,000 feet so the air bags can deploy. Can't see it being reused either. After reentering the atmosphere, the CST-100's three main parachutes open at an altitude of approximately 12,000 feet. When the capsule reaches about 5,000 feet, the base heat shield drops away and six air bags inflate with a mixture of air and nitrogen two minutes before landing to cushion the passengers from the impact. So, it sounds like the jettisoning of the heat shield is a required prerequisite for the airbags deploying, which I guess makes sense but was not something I had previously considered. What happens if the heat shield doesn't jettison, and the airbags therefore can't deploy? What kind of landing would the capsule experience, would the heat shield provide any meaningful cushion on its own? If the heat shield did jettison but the airbags failed to deploy properly (or inflate correctly), what then? These are similar questions to "what if the SuperDracos on a DragonV2 failed to operate and the capsule landed on land" question. I believe SpaceX has answered those to some extent to say the landing would not be comfortable but would be survivable. Has Boeing commented about any of this anywhere? “In October, we’ll have a whole new series of tests with 12 new airbags, and we will do extensive drop tests at White Sands Missile Range [in New Mexico], where the CST-100 will actually land,” said McKinney. He also said there will be approximately 20 tests that will allow this test data to be used to verify that simulation models are accurate. Are these "approximately 20 tests" all going to be from the drop rig or are any of them going to be from altitude? And are any of them going to be simulating the jettisoning of the heat shield, or is that going to wait for a more flight-like capsule to be tested? I don't know if the failure of the heat shield separation would be survivable. But I know that when some failures are a LOM (like SRB holding bolts that fail to break on a Shuttle launch), the go with ridiculous redundancy and reliability (like having explosive charges that work 99.999% and putting four where one would do). Same happens with parachute door opening. Those are super critical events that get reviewed, tested and redesigned to (almost) perfection.